Twitter, the world of all that is good and wholesome needs your help. 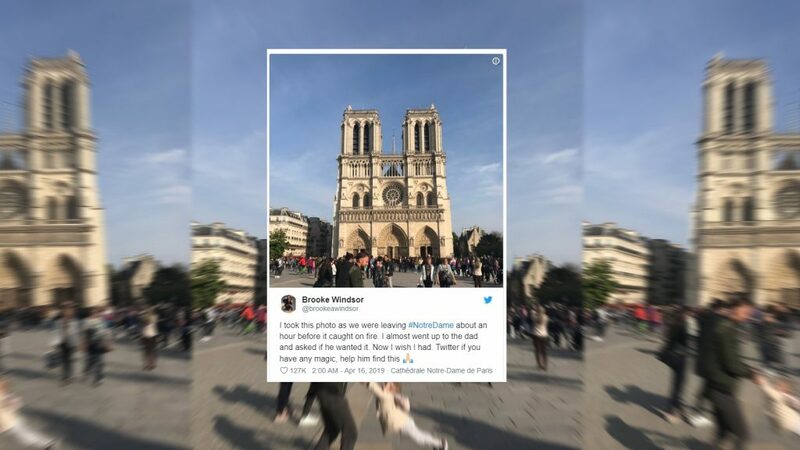 In Paris, before yesterday’s Notre-Dame Cathedral fire, a Twitter user named Brooke Windsor snapped a beautiful photograph of a man swinging a little child outside the towering cathedral’s facade. It was taken just minutes before the structure’s roof was ablaze. While Windsor couldn’t quite make out if it was a dad and his daughter, she thought it was a picture he might want to have. But, she didn’t want to spoil the moment. Now, she’s asking Twitter for help. “I took this photo as we were leaving #NotreDame about an hour before it caught on fire. I almost went up to the dad and asked if he wanted it. Now I wish I had,” Windsor writes in a tweet. In just seven hours, the tweet received more than 600 comments, 124 000 likes and 61 000 retweets. While many retweeted for awareness, with others even offering to retweet French translations, some wanted to share their snaps from the same perspective. Others just wanted to take part in a feel good story. You’re going to find this daddy and his little girl. I just know it. 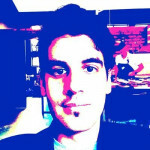 Beautiful photo. Windsor hasn’t yet found the happy pair, but she is “hopeful”. “Twitter sure knows how to step up,” Windsor adds in a subsequent tweet. Something tells me that Twitter might be on to something good, even if it’s just this once.